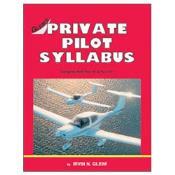 Private Pilot - Airplane (PAR), which is required if you are working toward a private pilot (airplane) certificate. Recreational Pilot - Airplane (RPA), which is required if you are working toward a recreational pilot (airplane) certificate. 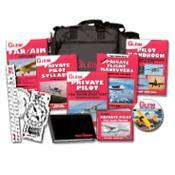 Private Pilot - Airplane Transition (PAT), which is required if you currently hold a recreational pilot certificate and are working to obtain a private pilot (airplane) certificate. This book can be used to prepare for helicopter, glider, and balloon FAA knowledge tests when used in conjunction with our online Non-Airplane Questions and Answers Service. 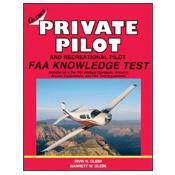 The fastest, easiest, and least expensive way to study for the FAA knowledge test! Intuitively appealing outlines and explanations facilitate learning and understanding, and promote study discipline by making your preparation for the FAA knowledge test a more positive, enjoyable experience. 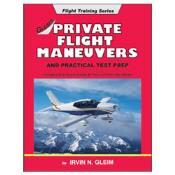 Gleim books organize all known FAA test questions into short, easy-to-understand study units. Understanding and retention improve as a result of studying only one specific subject area at a time. Your motivation to study will remain high, as each study unit is another positive step instead of an insurmountable obstacle. 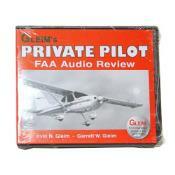 Gleim Knowledge Transfer Outlines at the beginning of each study unit concisely convey all relevant material needed to answer every FAA test question. Don't waste time learning about the periphery - learn just what you need to know. 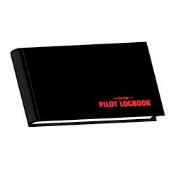 Also, only airplane-related questions and outline material is included in the Gleim books - don't waste time studying questions that won't even be on your exam! Outlines utilize Gleim's unique style of special indentations and line spacing, greatly reducing study fatigue and encouraging you to cover much more study material in a sitting than when using conventional texts. Answers and explanations to each answer choice - both correct and incorrect answers - are to the immediate right of each question. With Gleim books, there's no need to spend endless minutes looking through the back of the book to see if you answered a certain question correctly. With Gleim, the answers are right there! In addition, each book contains two bookmarks specifically designed to cover up the answer choices, forcing you to pick an answer you believe is correct before you can peek at the correct answer. A full reprint of the appropriate FAA Testing Supplement is included in each Gleim knowledge test book. Every figure, legend, and table that you'll need is also included. Images are reproduced exactly as they appear in the actual FAA Testing Supplements - just as clear, crisp, and colorful. 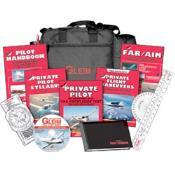 Each Gleim knowledge test book contains a practice FAA knowledge test. Once you feel confident in your grasp of the concepts presented, test yourself and be sure. You'll be more than ready when you sit down to take your actual FAA knowledge test! 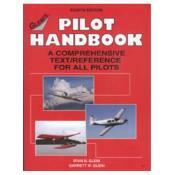 Detailed index and FAA subject code cross-reference guide. Find topics and questions quickly and easily. The index and cross-reference prove especially helpful when reviewing for your practical test. Our comprehensive coverage of all known test questions ensures you will feel complete confidence in your ability to pass. 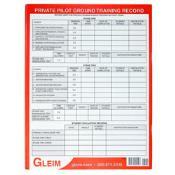 Gleim materials are simply the best!